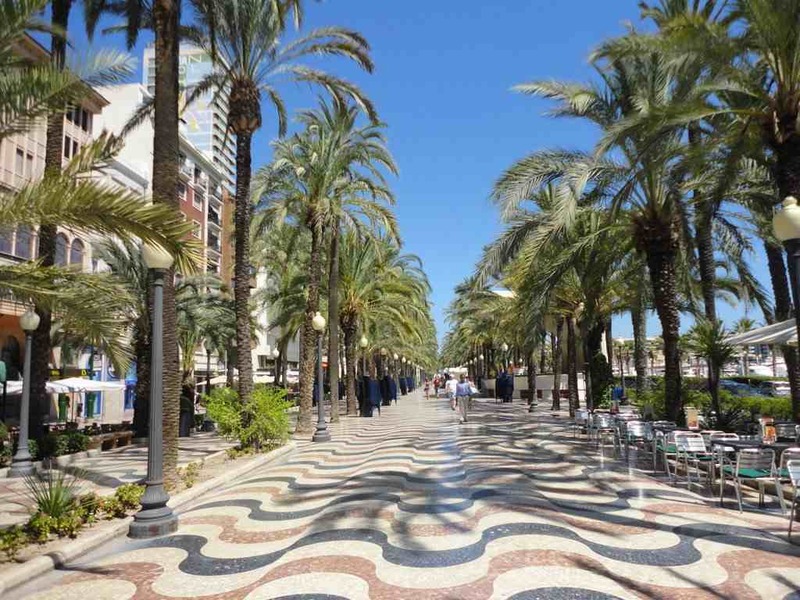 Alicante, where foreign investors are helping to stabilise the market. The latest market report from the notaries show an improvement in sales and prices. However, the positive headlines aren’t the whole story, and large segments of the Spanish property market still face years of continued depression. Following a recent report from the Property Registrars emphasising the first signs of life in Spain’s property market, data from the notaries shows that Spanish home sales rose 37 per cent in March, and 45 per cent in the first quarter of the year compared to the same period last year. Index of home sales from the notaries. These big increases were somewhat due to the elimination of mortgage tax relief back in 2012, distorting year-on-year sales comparisons this year. Breaking down sales by month shows the effects of tax changes wearing off as the months went by. There were 81,042 homes sales in the first quarter, with annualised increases of 63 per cent in January, 41 per cent in February, and 38 per cent in March. Nevertheless, the underlying trend is almost certainly positive. The notaries also revealed that house prices decreased 4.8 per cent to 1,248 €/m2 in March compared to the same month last year, but posted a quarterly gain of 1.6 per cent compared to the previous quarter. In their report they suggest that there are “signs of stability” emerging in the market for both prices and transactions. According to their data, house prices have fallen 33.8 per cent since the peak in July 2007, which implies that all gains in Spanish house prices since 2003 have been wiped out. Finally, the latest figures from the notaries show that residential mortgage lending volumes rose by 48 per cent in March, with the average mortgage value up 8.5 per cent to €116,673. Looking for causes to explain the better figures, the notaries point to the impact of foreign investors on the market, and expectations of lower prices coming to an end. 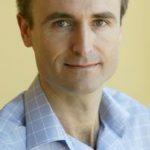 “Although we need to wait for more data, it looks like the figures we have point towards a change in trend or, at least, the end of the depressive cycle,” concludes the notary association. 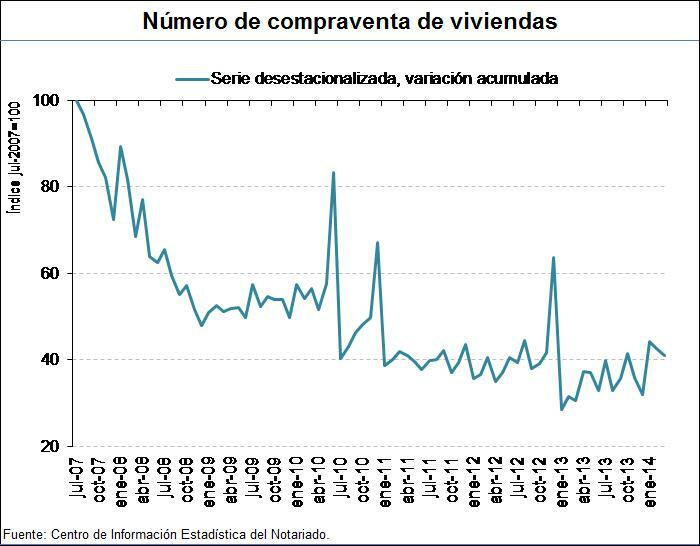 Córdoba says 100,000 home sales would be a normal rate of monthly transactions for a country the size of Spain, significantly higher than the 81,000 recorded in the first quarter of this year. As I have said time and time again. “Hope springs eternal in the breast of the believer!” The signs are still a mirage and until it is accepted that house prices have fallen by 50% nothing will change. 80,000 sales per quarter will mean at least 10 years to clear the surplus and that is without any further building, which amazingly seems to be continuing. Lets get real because of denial we are in this mess! !